Mr George Joseph (Mr GJ – that is how everyone addressed him) taught us English in Grade 10 and 11 at Sainik School Amaravathinagar. He joined the school in the vacancy of Mr Seshadiri who left the school (with his daughter Sita from our class) in 1973. I started interacting with him at a personal level in Grade 11 when we went on a trek from Munnar to Idukki in Kerala in September 1977. That was the first time he opened up with me about his teaching experiences. Mr GJ’s first class in our school was for the batch of David Davidar (three years senior to us), who authored The House of Blue Mangoes (2002), The Solitude of Emperors (2007) and Ithaca (2011). 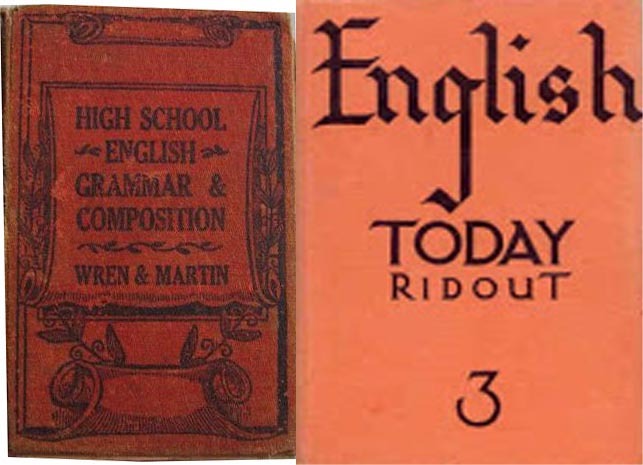 On the very first day, Mr KG Warrier (https://rejinces.net/2014/09/16/the-linguists/), head of the English department had forewarned him that the linguistic capability of the students was at a very high level and he had to be fully prepared to face them, let alone teach them. Mr GJ on many occasions claimed that he actually learnt English by teaching students at our school. During our school days, Mr GJ was a bachelor and hence had all the time in the world to himself. One could mostly see him spending his spare time at the library, reading up all the books which he could not during his university days. Mr GJ was a good basketball player and coached the school basketball team. He was a good swimmer and hence joined Mr Krishnan Kutty (the crafts Master) (https://rejinces.net/2014/08/08/arts-and-crafts/) to form the nucleus of the canoeing club. He later took over the reins of the canoeing club, once he mastered the art of canoeing and could navigate through the Amaravathi Dam’s waters. He again claims that he perfected the art of canoeing by learning the same from the senior students. During the boxing competitions at school, Mr GJ was a judge always. He once narrated that he had never seen a boxing bout in his life until he joined our school. One day when Mr CM Nair (Physical Training Instructor) (https://rejinces.net/2014/07/23/233/) while preparing the gymnasium for the boxing competition realised that he was short of a judge as Mr Venkateswaran, the biology teacher had left the school. Whether Mr CM Nair found some similarity between Mr GJ and Mr Venkateswaran in their physical appearance, or not, he summoned Mr GJ and requested him to be the boxing judge the following week. Obviously Mr GJ showed his reluctance having had no experience in the field, why even he had never witnessed a boxing bout and now he has been tasked to be a judge. Mr CM Nair conducted a detailed clinic for Mr GJ and handed him over the rule book of boxing. After the clinic, Mr GJ became very confident and every year till we left the school, he was always a boxing judge and never was his judgement ever questioned. Once he threw the towel in to the ring to stop a bout, as he realised that the contest was really uneven and the loser of the bout might suffer an injury. This raised a few hackles then, but now looking back one realises how apt his decision was and also that his action befitted that of a seasoned boxing judge. During our trek from Munnar to Idukki in 1977, the first day’s halt was at a village called Vellathooval. We started the trek early in the morning from Munnar and reached Vellathooval by late afternoon to be received by the Headmaster, staff and students of the Government High School there. The school organised a special assembly of the entire school to welcome us and Cadet Benoy Zachariah (now a cardiac surgeon at Boston, USA) was tasked by Mr GJ to deliver the English speech and I was tasked to deliver a speech in Malayalam, to motivate the students to join Sainik Schools and then the armed forces. That was the first motivational speech I delivered and as per Mr GJ we did a decent job of it. The preferential treatment we received at this school was because Mr GJ had arranged the same with our class mate George Paul’s father who was the Educational Officer, under whose jurisdiction this school came. After three days of trekking we reached Idukki and then went around sightseeing for the next three days. One evening I was talking with Mr GJ and the subject was regarding the difficulties faced by the teachers while managing the students during various treks and hikes at the school. Mr GJ narrated his very first hiking experience at our school the year he had joined. Mr GJ was tasked to lead the hike to Yercaudu in Tamil Nadu, a quiet little hill station on the Shevaroy hills of the Eastern Ghats. During the train trip to the base of Yercaudu, Cadet Appu fell off the train. Mr GJ got the entire entourage to disembark from the train at the next station and he walked about five kilometers along the track back and found Cadet Appu lying unconsciously near the rail track. Mr GJ administered first aid to Cadet Appu and carried him on his shoulders and walked back to the railway station where the rest of the entourage was waiting. They then boarded the next train and continued with the hike. Like most classes at our school, Mr GJ’s English classes were mostly group discussions with the teacher in the lead and acting as a moderator. Among some of the memorable discussions we had, one was about opening Sainik Schools for girl cadets too. Mr GJ brought out that the boys would be better disciplined, better dressed, better behaved if girl cadets were studying along with us and the overall performance of the cadets would surely improve manifold. This discussion took place in the days when no one in India thought of opening military service for women. Once Mr GJ opened up a discussion by his justifications for men resorting to domestic violence. As expected, all cadets in the class opposed it tooth and nail. At the end of the class Mr GJ concluded by saying that had he not put up a few arguments in support of the motion, no worthwhile discussion would have emanated. He brought home the point that to get noticed in the group discussion, at times one would have to support a cause which one is sure will have no takers. He always encouraged us to approach an issue differently; mainly to stand out and also to try out a different method or a path. 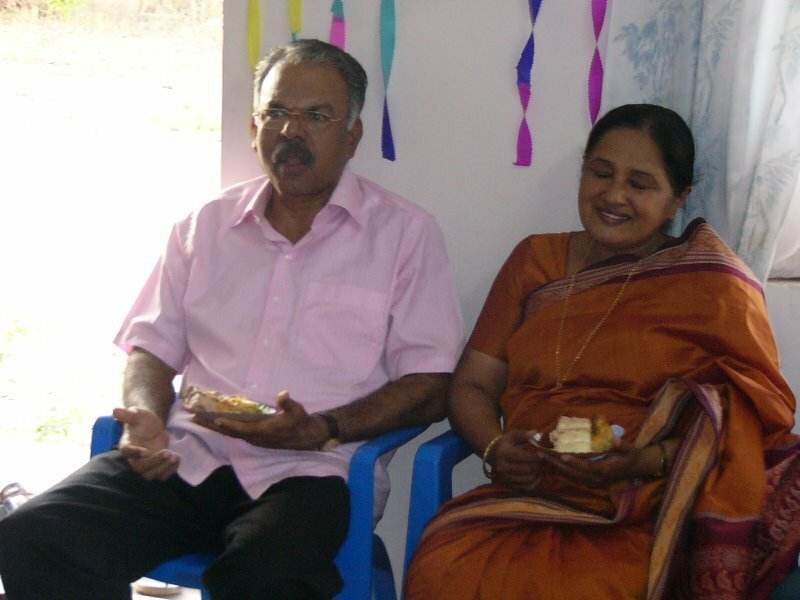 After we moved on from the school, Mr GJ moved out as the Principal of Navodaya Schools in Kerala and is now retired and has settled down at Palai, Kerala. He can be contacted on Cell # 944 636 8276 and email gjay51045@gmail.com. Its after a long gap I’m going through your article. The very well narrated piece took me to the good old days we spent with such eminent teachers and guides at our School. Nostalgic….. wonder if it’s the perceptional difference (from a pre-teenager’s eye view vis-vis pre-oldager’s); the quality of teachers were exceptional those days…. they taught us ‘life’ instead of just the curriculum….Tasmai Shrii-Gurave Namah!!!!!! A nice piece. Your writing reminds me of R K Narayan’s Malgudi days. Nostalgic. Going down memory lane. Every word about the teachers like Mr. K G Warrier, Mr. and Mrs. Sheila Cherian, and others is the equal feeling of other students too. If at any time in any life if the God gives a chance to become a student would plead to him that he give me the same teachers who taught me in Sainik School Amaravathinagar. No doubt that such dedicated & committed teachers leave their imprint in your mind for a lifetime. One will always cherish such fond memories. We are gifted ones as you said during our telephonic discussions, so we are having the boon of being the students of these noble teachers. You have not written about few other teachers like B Sitaraman (Hindi), CSS ( hindi) Venketasehwaran ( the maths genius) MS(Tamil), KE ( Tamil), Dhomadhoran (MI ROOM) medical assistant, PR( History) PT( Geography) and many others like that. Please pen down on every one. Your are gifted with the art of expressing by writing, Which only very few have. Please read https://rejinces.net/2015/01/28/hindu-arabic-numerals/ about VM. About others, will write. I am looking for an idea or a seed to write about and to tag them in. Another good write up. Mr. GJ got married when we were probably in the 9th or 10th std. His wife used to accompany him to school, when he was in-charge of the Night Prep. As newly weds, they caught the attention of all the students. I remember her as a chirpy lady, having a friendly chat with us.